Nemetschek Vectorworks, Inc., one of the leading solution providers in compelling and sensible 2D/3D and Building Information Modeling (BIM) software, just introduced the sixth version of its exclusive training guidebook alias "3D Modeling with Vectorworks”. This BIM based guidebook is prepared by Jonathan Pickup, the writer and specialist Vectorworks trainer. This guidebook highlights some of the best potentials of Vectorworks software for generating 3D models. The book combines written step-by-step guidance, informational videos and practical tutorials. 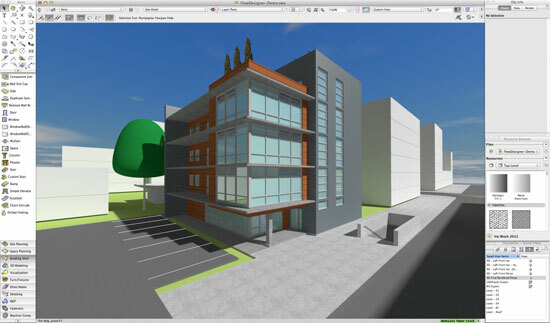 The readers will be familiar with some latest methods for producing complicated 3d models with Vectorworks 2014 sofware. Pickup also explains the fundamental commands and tool functions as well as how to accomplish a practical. This guidance will be useful for 3D modeling professionals to sharpen and extend their 3d modeling skills. The users of Vectorworks will be able to start advance modeling through simple tools by learning to sketch with objects and positioning them on working planes. U.S. customers can avail manual online at www.vectorworks.net. For sales outside the U.S., Vectorworks software users can contact their local distributors at www.vectorworks.net/international.